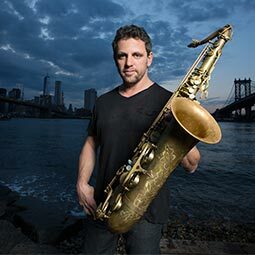 Trevor James Saxophones Now Available in the USA & Canada! The new ‘RAW’ and ‘RAW” XS* Signature Custom saxophones have been developed following more than 12 months of testing, discussion and research with sax players around the world who wanted a genuine vintage sound along with an aged look to their instrument. The line has expanded to include Phosphor Bronze, Silver plated, and Gold Lacquer models. If at any point you have a question about these great saxes, please do not hesitate to contact us. 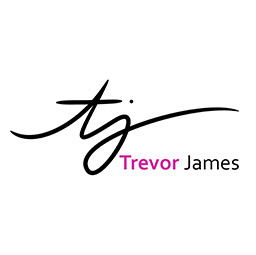 Trevor James is an award winning musical instrument manufacturer of flutes and saxophones. 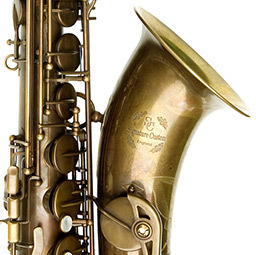 The TJ Signature Custom Raw saxophones are a professional line of alto & tenor saxes designed for players who want a genuine vintage sound along with an aged look to their instrument. Learn about the professional musicians who have chosen Trevor James as their main horn. Trevor James has been lucky to supply musicians from around the world with their favorite instruments. 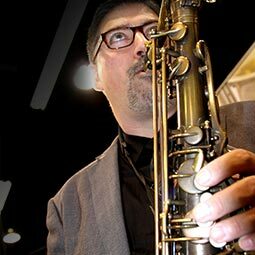 Hear what they have to say about the Signature Custom Raw professional tenor & alto saxophones. 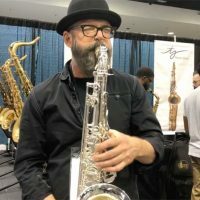 We were able to catch up with Trevor James Artist Brian Miller at NAMM 2019. 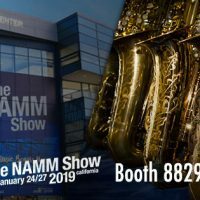 We caught up with Trevor James artist Scott Gilman at NAMM 2019. See our interview to learn about his musical background, and why Trevor James is his pro saxophone of choice!